If you're into flying using just the power of the wind, there can be few better places to run off a mountain top than at Monte Grappa in Veneto, a region in Italy's far northeast. 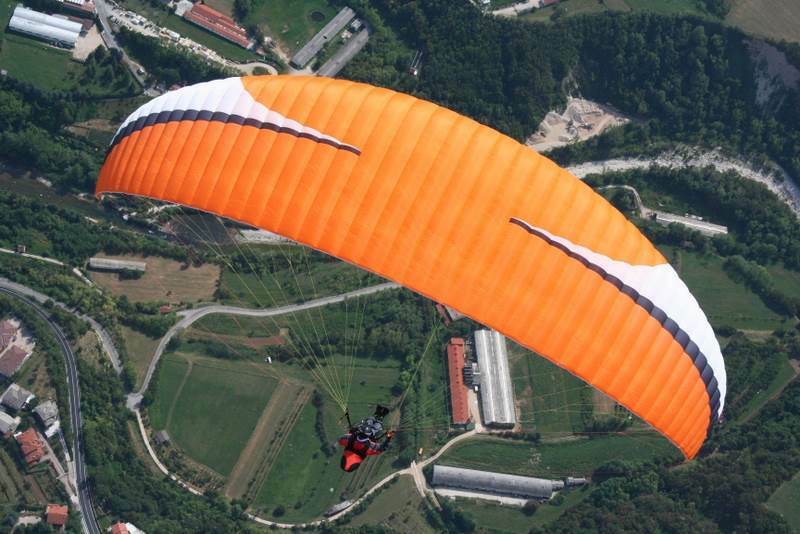 With around 300 flyable days a year, stable weather conditions, almost no strong winds and easily accessed take-off positions, Monte Grappa is unparalleled as a playground for para-gliders and hang-gliders. The rolling green Veneto foothills are the backdrop here, stretching all the way to Slovenia and Austria. Experienced gliders can fly for several kilometres east and west without bumping into a no fly zone, while competition pilots have completed flights up to 100km long! Eight take-off areas are available to suit all wind directions except the north wind (which rarely blows). If you don't have a licence yet, Monte Grappa is the perfect place to earn your wings. It'll take a few months of studying meteorology and aerodynamics, along with practice flying guided by instructors, but after that you'll be free to cruise the skies like a bird. Alternatively, strap yourself to an expert for a tandem flight, and let a skilled pilot can do all the hard yards while you enjoy the ride over vineyards and picturesque villages. Flying is free if you have your own FlyCard but if you want to try a tandem flight it’ll cost around US$96. If you’re doing a tandem flight all you need is a dose of courage. Piloting your own glider has risks involved. You must have a valid FlyCard to access flight areas. This tip was provided by Vivere Il Grappa but we’re sharing it with you because we think it’s great.